M Restaurant and Bookatable by Michelin in association with Champagne Pommery have announced the second Young Chef of the Year competition which will see talent across the UK competing for the Young Chef of the Year title and a chance to host their own five day pop up at the trend setting M RAW in Victoria Street. 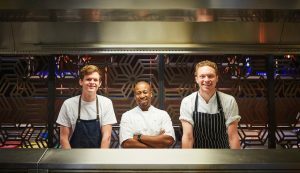 Aspiring young chefs under the age of 29 are required to submit a four-course menu at £45 per head together with costings for 50 covers. The best entrants will be asked to cook a dish for M Group Executive Chef Michael Reid and guest judges in two regional competition rounds held in London and Manchester. Thereafter the top 20 finalists will be announced and invited to M RAW in Victoria Street to cook in a series of pop up takeover nights from 3 -28 July, with diners and judges voting for their favourite. 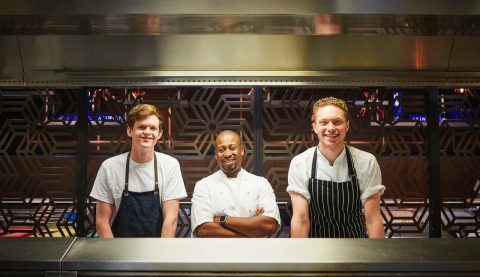 The Young Chef of the Year competition aims to not only find the best young talent in the kitchen, but to also coach entrants around the commercial acumen in running a restaurant. During pop up week entrants’ menus will be judged by M Restaurant owner Martin Williams, M Group Executive Chef Michael Reid, as well as leading chefs and personalities including Adam Handling, Andy Lynes, Claudio Cardoso, Cyrus Todiwala, Daniel Watkins, Jose Pizarro, Michael Wignall, Richard Bainbridge, Selin Kiazim and Tom Kemble. Prize categories include the Young Chef of the Year Winner, Young Chef of the Year Runner Up, Best Dish as voted by the judges and Best Social Campaign as voted by Bookatable. The winner and runner up will receive a five-day pop up residency each at M RAW. The winner will also receive a trip to Champagne and a set of Kin Knives. Entries close on 30 April and can be submitted toyoungchefoftheyear@mrestaurants.co.uk. For more information visitwww.mrestaurants.co.uk.